Spring is here and there’s way too much to do in Bushwick to stay home tending the garden. But I’m here to tell you that blooming backyards and windowsills don’t have to be a lot of work! If you pick the right plants you can enjoy butterflies, bees and rooms filled with color from spring through summer. Forget about starting from seed. Just go to your local nursery and pick up the plant or seedling. As it gets bigger you can transplant it into your garden or a larger pot. I like the Chelsea Garden Center or the Union Square Green Market. And many of these plants can be purchased online at Sunlightgardens. 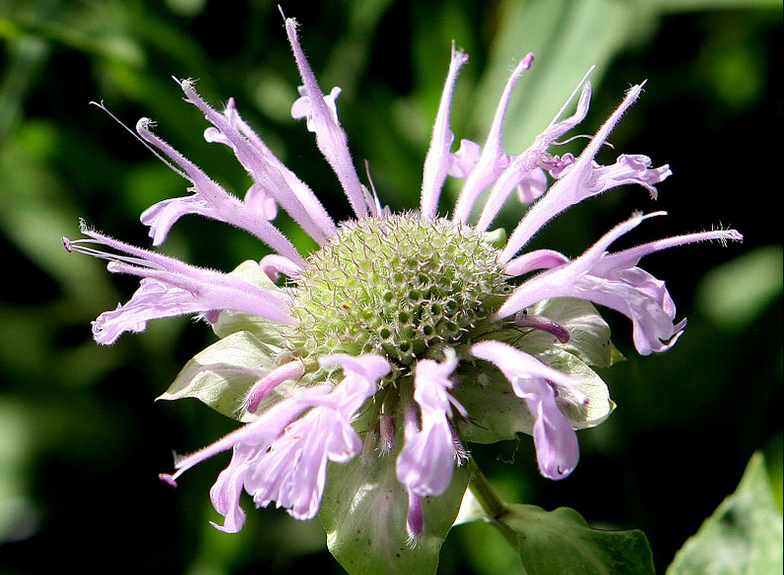 "Monarda-fistulosa" by Hardyplants at English Wikipedia - Own work. Licensed under Public Domain via Wikimedia Commons. 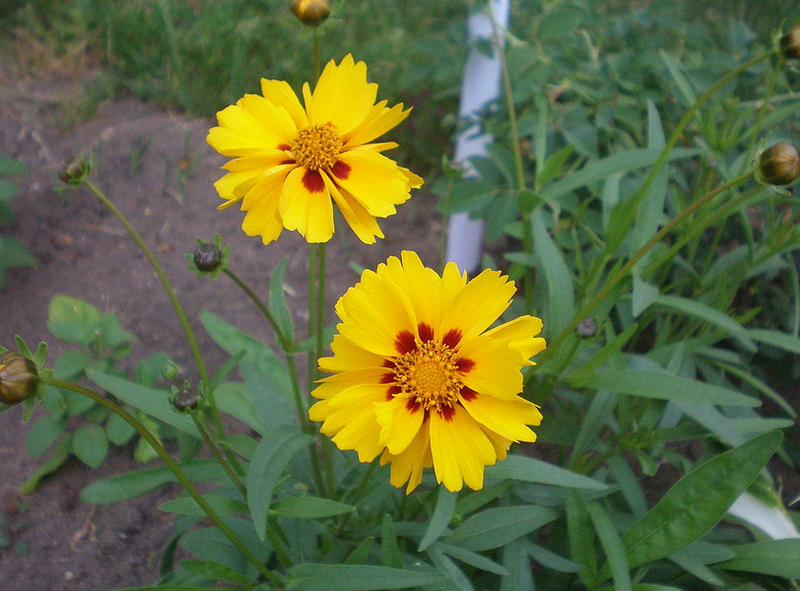 Full sun or partial shade and moist soil. Male, female or somewhere in between? This hermaphroditic beauty is the perfect plant for you. Butterflies and hummingbirds vie for the chance to suckle at its tubular flowers. Blooms are red, pink, violet and white with male and female structures in each flower. Plus the foliage smells like mint! Native to the Appalachian Mountains but adaptable to rich soil all along the east coast, the Carolina Bush Pea has large, bright yellow flowers growing up to five feet tall. They are showy and tough with a light covering of fuzz - think plant with a beard. Somehow perfect for Bushwick. Partial or full shade and well drained soil. I’ll admit I included this one for the name. Who doesn’t want a flying saucer to land on their windowsill? Don’t soak her and she’ll reward you with large, plate-sized golden-yellow daisy flowers. 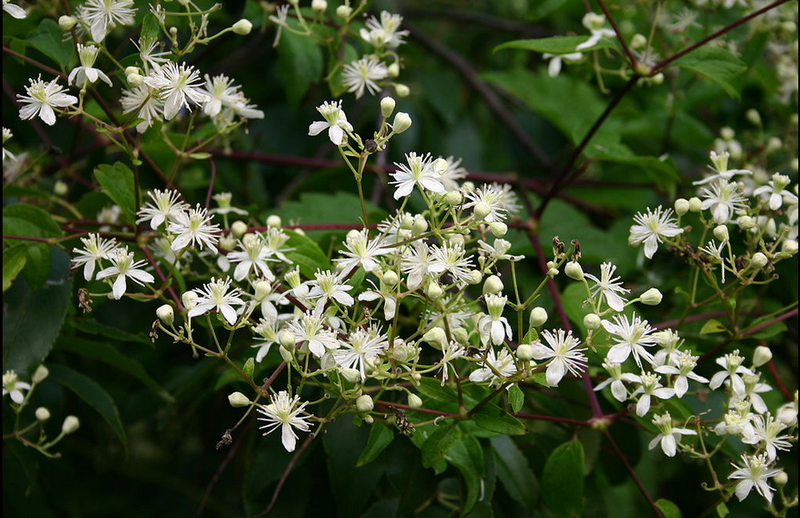 "Clematis virginiana 001" by I, SB Johnny. Licensed under CC BY-SA 3.0 via Wikimedia Commons. Full sun and moist (not soaking wet) soil. These ethereal, star shaped flowers are perfect for the mystical, tarot reading wiccan. A quickly growing vine that can reaches a height of 20 feet. Grow it along a trellis on the side of your building or wind it around a tree. It smells great and can block out other, less savory scents of Brooklyn in the summer. 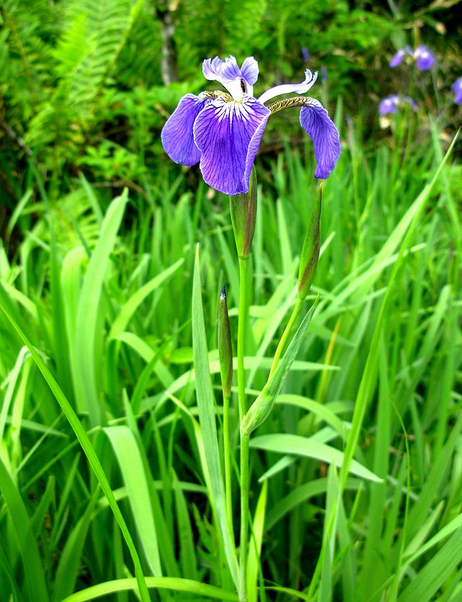 "Iris setosa" by Qwert1234 - Qwert1234's file. Licensed under Public Domain via Wikimedia Commons. Full shade and moist soil. Live in a basement apartment or face a brick wall? No problem. This iris blooms in full shade. Its blue and violet flowers will add beauty and mystery to the cave. This perennial offers a 2-fer-1. 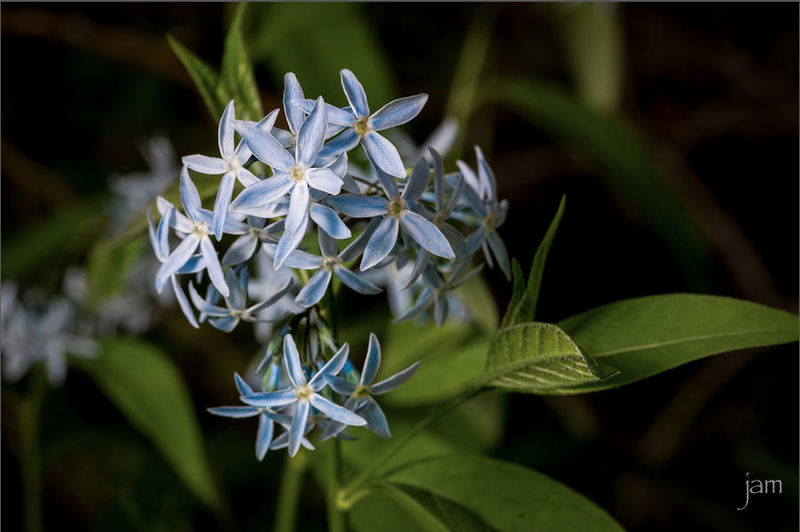 Beautiful blue, star shaped flowers that also attract migrating butterflies. Put this in your window and fill your apartment with Monarchs. Really, what more could you ask for from a houseplant? In fact you should be asking yourself - what are you going to do for it? Full sun and moist soil. 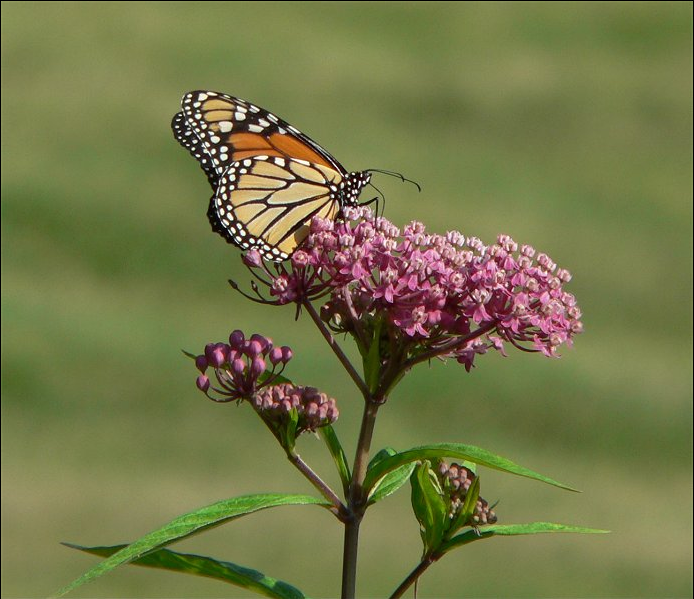 This is another plant that comes with the added bonus of attracting Monarch butterflies. Plus it’s a great name for a band. 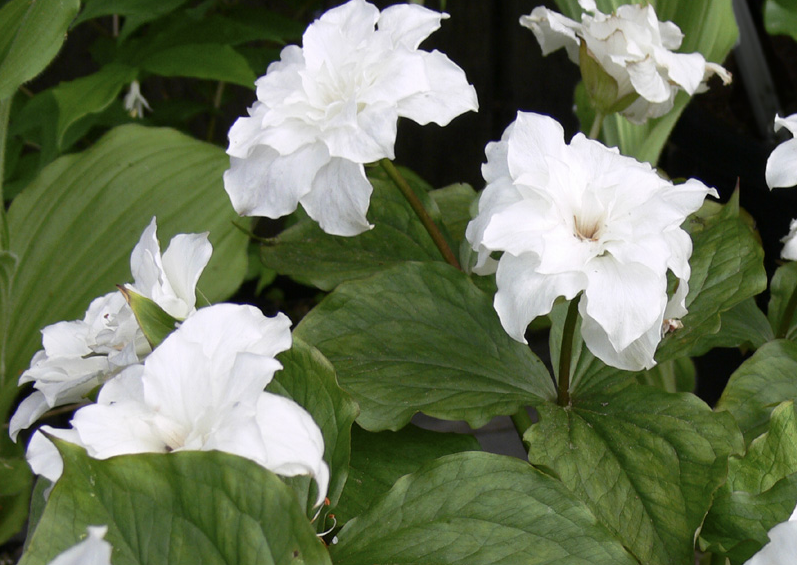 "Double Trillium grandiflorum" by Simon Garbutt. SiGarb 20:53, 4 December 2006 (UTC) - Reduced-resolution, cropped version of my own digital photograph. Licensed under Public Domain via Wikimedia Commons. Native to the woodland areas of the northeast these gorgeous white, yellow and maroon blooms have a short growing season and tend to go dormant in the hottest part of the summer - Just like us! Partial to full shade and well-drained soil. 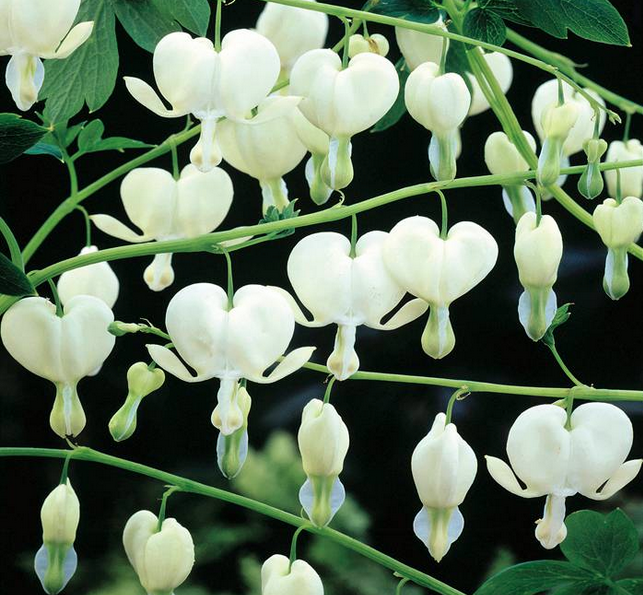 Perfect for all you liberals out there, bleeding hearts produce arching pink heart- shaped flowers dripping with accents of red and white. In the mean time be sure to read my novel HOTHOUSE FLOWER AND THE NINE PLANTS OF DESIRE. Lot’s of plant mythology and a bit of love too.